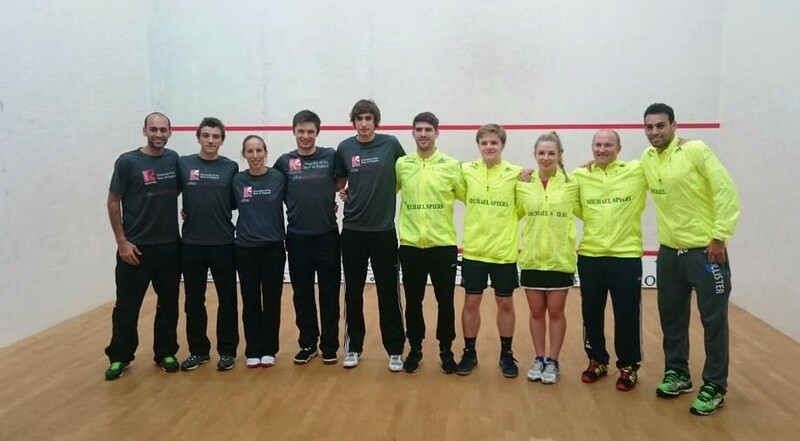 Round Three of the England Squash & Racketball Premier Squash League saw four of the twelve teams enter tonight’s matches with unbeaten records to protect, but one of those records was guaranteed to fall. 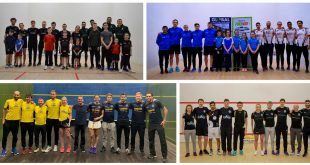 In Group A University of Birmingham Lions welcomed the visit of defending champions Benz Bavarian Duffield, with both teams at the top of the League with two wins and 33 points. 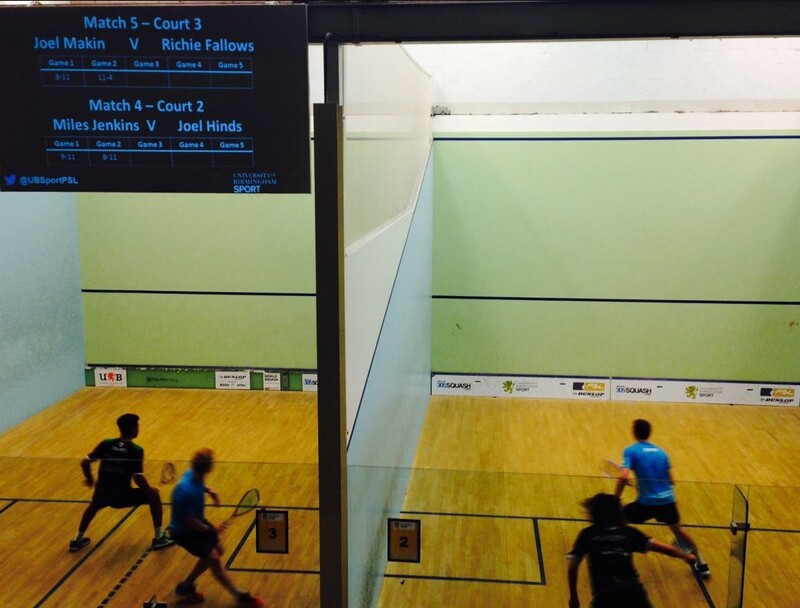 Joel Hinds quickly put Duffield ahead, but Miles Jenkins levelled the match with a fine 3-2 win over Richie Fallows. Duffield’s strength showed though as Chris Simpson came from a game down to win and Jessica Davies put the visitors 3-1 ahead. Playing his first match in his 15th season in the league, Duffield’s Nick Matthew wrapped up the 4-1 win for Duffield to take them 11 points clear at the top. 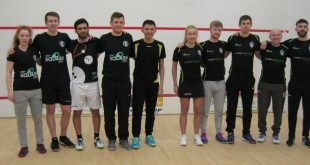 Coolhurst London were at home to Air-IT Nottingham, two teams with playoff hopes, but it was Coolhurst quickly into their stride as Madeline Perry and Nick Mulvey put them 2-0 ahead. 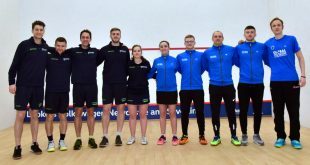 Nottingham skipper Mark Fuller came through a five-setter with Joe Green to give the visitors hope, but James Earles was meanwhile coming from a game down to beat Mark’s brother Chris to put Coolhurst 3-1 ahead. Rory Birtwistle won the last match 3-0 for Nottingham who went away with 7 points. 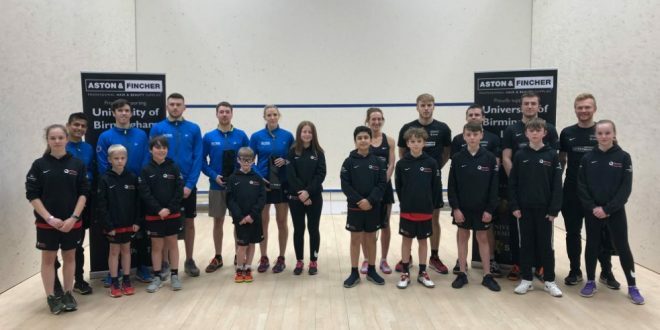 Everards Leicester took a 4-0 lead at home to Pontefract – George Parker and Mari Taylor doing the early damage, Ben Coleman sealing the win with a 3-2 victory over Patrick Rooney and Shaun Le Roux taking the fourth – before James Willstrop scored a point for the visitors at the top string. 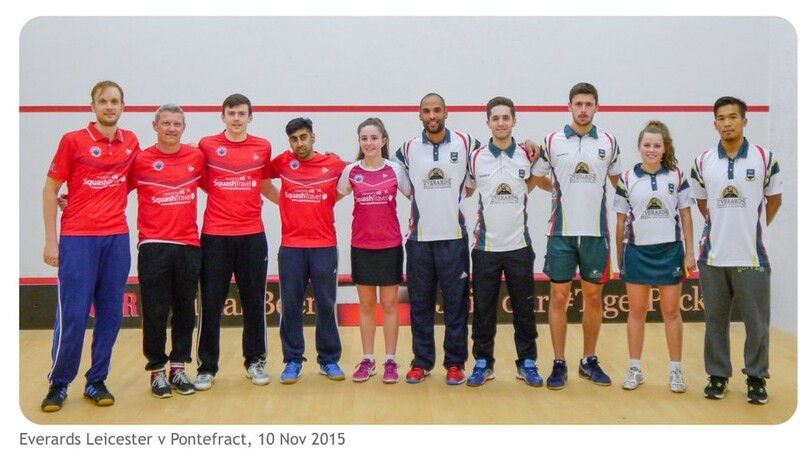 Leicester move into second place, Pontefract are at the bottom, the only team yet to win a match. 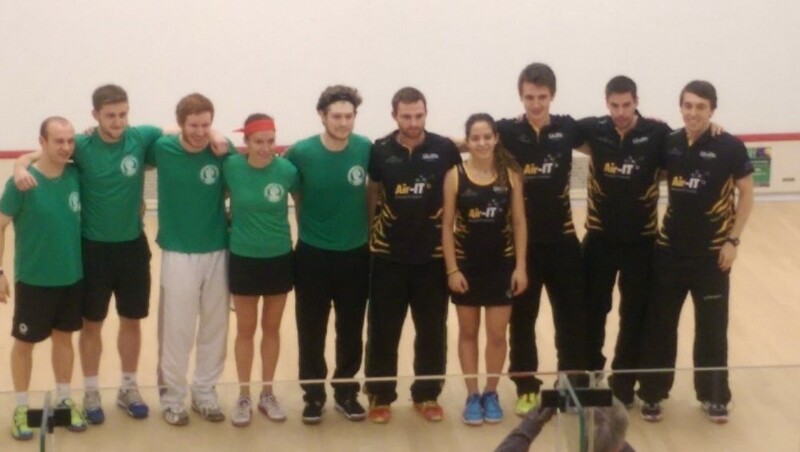 In Group B table-toppers Team Chichester took on visiting Virgin Active Surrey, the five-time champions. 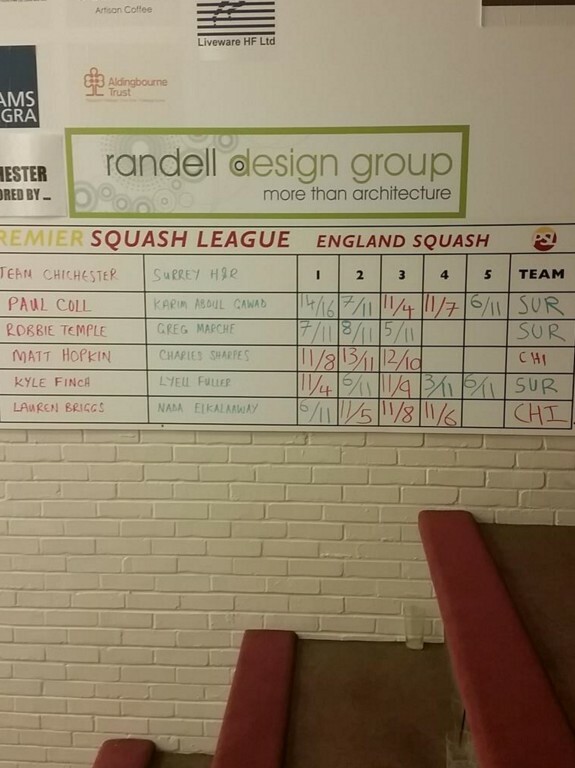 Lyell Fuller beat Kyle Finch in five to put Surrey ahead, but Matt Hopkin leveled with a fine 3-0 win over Charles Sharpes. Lauren Briggs restored Chichester’s lead but Gregoire Marche put Surrey level again to set up the only decider in tonight’s matches. Surrey’s Karim Abdel Gawad saw a two-game advantage over Paul Coll in the top string disappear before taking the fifth to give Surrey the win and the bonus points – the match finishing 10-all in games. It’s Surrey’s neighbours 9Telecom St George’s Hill who are top of the table though, coming away from Winchester with an impressive 5-0 win. The home side’s Daniel Poleshchuk impressed on his debut, going 2-1 up against Henrik Mustonen before the Finn recovered to win in five. 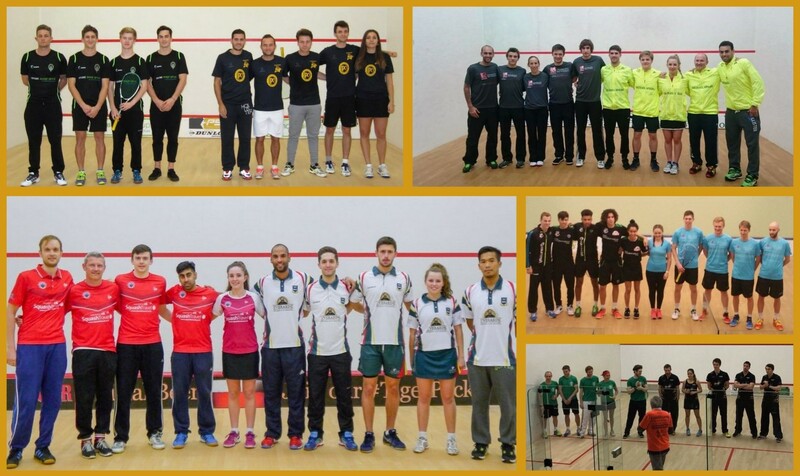 In the West, UWE/Elite Squash Bristol travelled to Exeter Diamonds, again both teams with hopes of making the playoffs this season. 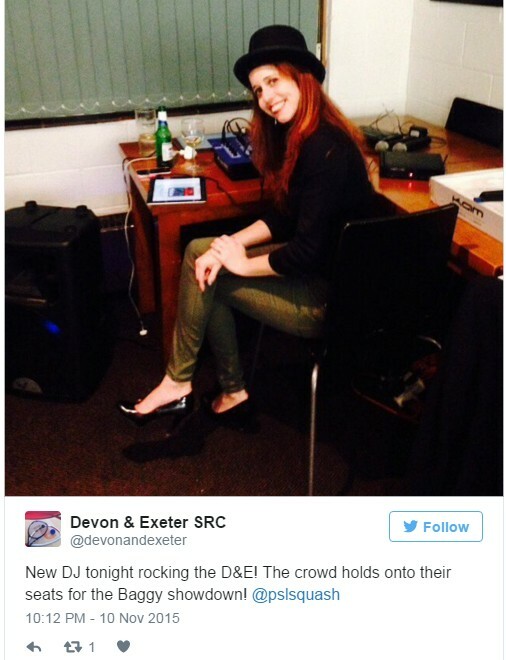 The opening matches were shared, Amelia Henley winning in five for Exeter, Mike Harris in three for Bristol. Josh Masters put Bristol ahead coming from 1-2 down to beat Tim Vail, and Lucas Serme sealed the win for Bristol with a 3-0 win at second string. 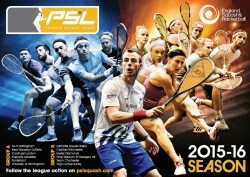 So, the much anticipated clasf of the Elshorbagy Brothers – Mohamed for Exeter and Marwan for Bristol – wasn’t to be a match decider, but still provided a great spectacle for the packed crowd as Marwan came from two games down to beat his older brother – the world #1 and Qatar Classic champion – 12-10 in the fifth to give Bristol a 4-1 win and second place in the table. Group A sees an early-season top of the table clash as defending champions Duffield travel to Birmingham, both teams with two opening wins to their name. 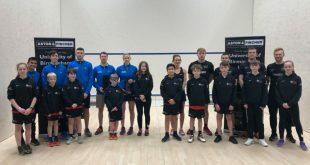 Duffield performed their now-customary Houdini-act in round two, but with Nick Matthew making his first appearance of the season at the top of a strong Duffield lineup, Birmingham are going to have their work cut out to stay unbeaten. Coolhurst welcome the visit of Nottingham, both having lost 2-3 to Duffield but both fancying their chances of making the playoffs this time around. Neither are able to field their strongest lineups but a close finish looks likely. Third in the table Leicester also have playoff aspirations, and look to have the edge over visitors Pontefract, who arrive after two narrow defeats. In Group B top of the table Chichester are at home to Surrey, smarting after defeat to local rivals St George’s last time out and fielding a strong lineup which is likely to bring them the spoils. St George’s, lying second in the table, travel to Winchester who have had a shaky start yielding just seven points and the visitors look strong enough to inflict another defeat. 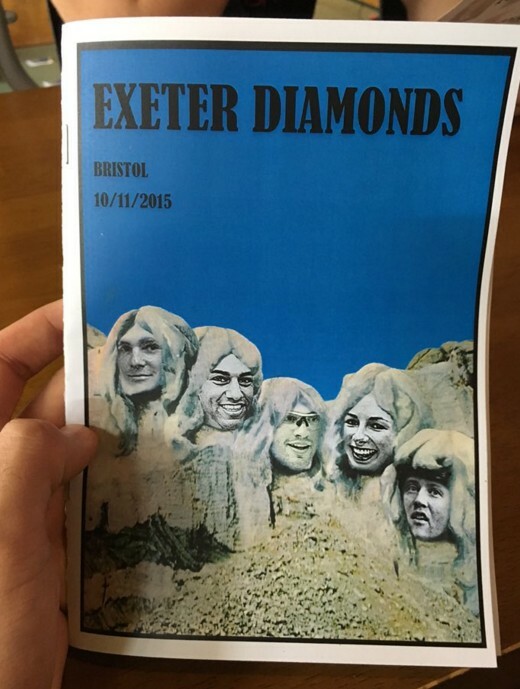 The West country local derby sees Bristol travel to Exeter, where the standout match is the meeting of the Elshorbagy brothers. 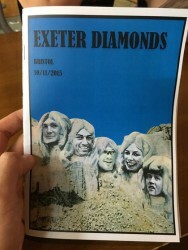 World #1 Mohamed heads an Exeter lineup which looks likely to deliver a first win of the season.